FAQ and Articles - Additional small connector on the LCD. HomeFAQ and Articles	Additional small connector on the LCD. It is posible, that the power board on your new screen looks different than on your old screen. Only the plugs to connect the LCD to the laptop need to be the same. Additional connector is usually used for a touch-sensitive panel, or to upload firmware updates for the LCD. 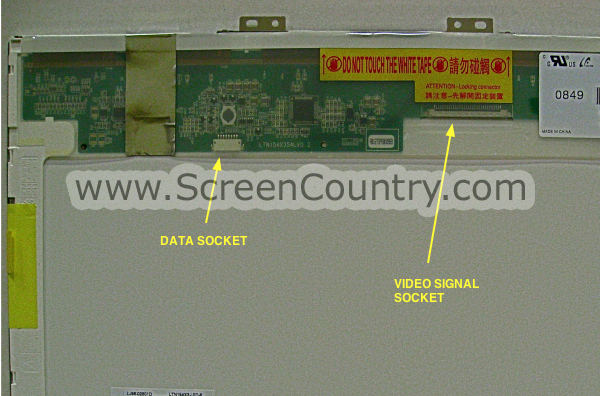 Nevertheless, if your new screen has a such a connector, it does not mean that the screen will not work with your laptop. The picture below shows what that connector usually looks like.